Dear Paul, Thank you for taking the time to write a kind review in regards to our Bromley Branch. We're happy to read you had received an empathetic and Professional Service during your time of need. Dear Sue, Thank you for taking the time to leave a Kind review in regards to our Bromley Branch. Dear Joseph, Thank you for taking the time to write a kind review, we're glad to hear that our Funeral team went the extra mile to help you and your family during such a difficult time. Dear Joan, Thank you for such a lovely review in regards to Sylvia, our Funeral team ,Geoff, Yvonne and Our Celebrant May. It is lovely to read that everyone involved who helped you in your time of need ensured that the service ran smoothly and efficiently. Here at Mears Family Funerals We pride ourselves in ensuring our Colleagues are kind,helpful and Professional at all times. Again Thank you for taking the time to write such a lovely Review. Dear Sarah, Thank you for writing a lovely review in regards to our Bromley Branch. 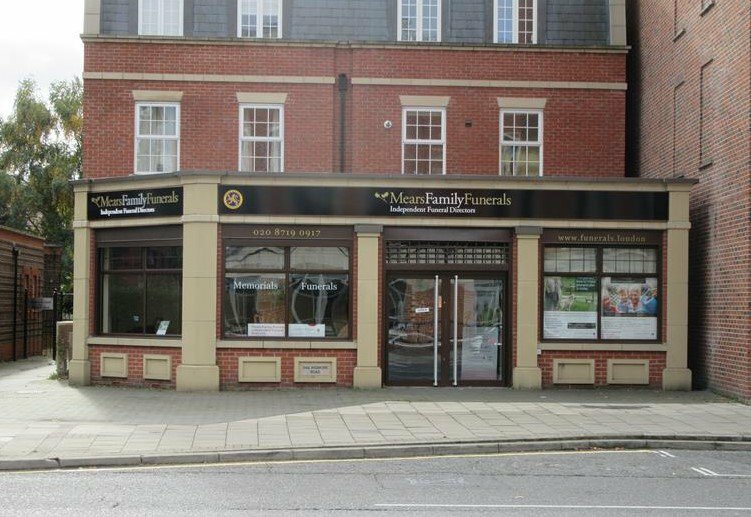 We're happy to read that our Bromley Branch and our Funeral team showed compassion throughout such a difficult time. I'm pleased we selected Mears for my father's funeral. Sylvia was calm, business-like, and thoughtful while making the arrangements, and the day itself was perfect. Due to various family commitments we had very little time to make the arrangements, but after each contact with Sylvia we had a clear idea of what was needed from us, and what she was doing to get everything arranged. Communication was excellent so there was no opportunity for confusion or mistakes to arise - just what is needed at a stressful time. Dear Christopher, Thank you for such a kind review in regards to Sylvia at our Bromley Branch. We are pleased to hear that Sylvia was thoughtful and calm throughout and always kept in touch to ensure everything rang smoothly for you and family on the day. Again thank you for taking the time to write a kind review. Dear Christine, Thank you for taking the time to write a kind review in regards to our Bromley Branch. We're happy that everything was handled so well for you. On the day of the funeral, Aaron and his team had the right balance of professional and friendly. I felt at ease and that everything was in hand. Everything ran smoothly and I didn't have to worry about what was going to happen next at each stage as Aaron guided us through everything and explained everything clearly. All of the timings and logistics went to plan. Aaron was polite and his team were very respectful. At the first meeting with Mears, I did feel a little as though I had to lead the conversation and ask all the questions (which was a bit tricky as at that point I didn't know much about what was involved). During the time leading up to the funeral, Sylvia kept in touch with my brother and myself with little prompts about what actions were remaining - this was helpful as we each have very young babies to look after (as well as being affected by the grief of losing a second parent), and the support from Mears was great. I was a little surprised on the day when, at the crematorium, I was asked whether I would like the coffin to remain where it was or to be lowered. I had previously informed Sylvia that I would like it to go behind the curtain and lowered only to find out that there wasn't at curtain at Beckenham Crem (I would have thought that the Mears team would have known that already). Another thing I would improve is the music selected - I asked for quite a famous piece of classical music for the entry to the crem, however quite a tacky piece was selected (I would think that a bit of research could have avoided this as it wasn't an obscure piece). A very professional and respectful service. Nothing was too much trouble and the whole family were very happy with the arrangements made. We are all very grateful. When my sister died I was distraught and in hospital myself. I had never arranged a funeral before and in considerable physical and emotional pain it felt like I had to climb a mountain. From the moment i spoke to Lisa on the phone I felt completely at ease and reasssured that things would be handled efficiently and professionally. The compassion and care that was demonstrated to the whole family will never be forgotten. Lisa visited me at home, took the time to meet the minister in person to help plan the service, she carefully and considerately explained things. She made me feel as if she had all the time in the world to help and whenever I phoned she would answer immediately with a cheerful disposition or call back as soon as she could. Thanks to the blanket of care that I felt surrounded by I was able to make the necessary decisions and found the strength to give my eulogy on the day. I have to point out that their prices came almost £1,000 below those quoted by other companies which worried me initially but the service we received was simply outstanding and I had complete confidence that we would be looked after extremely well as soon as I began to speak with Lisa, thank you. I will always recommend the company. Even my garage says you are wonderful neighbours. 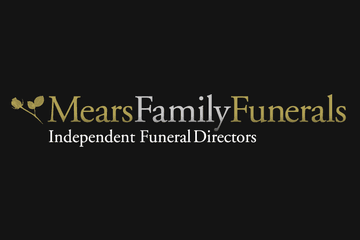 Mears Family Funerals Bromley Branch will provide you with a free obituary as part of their service.